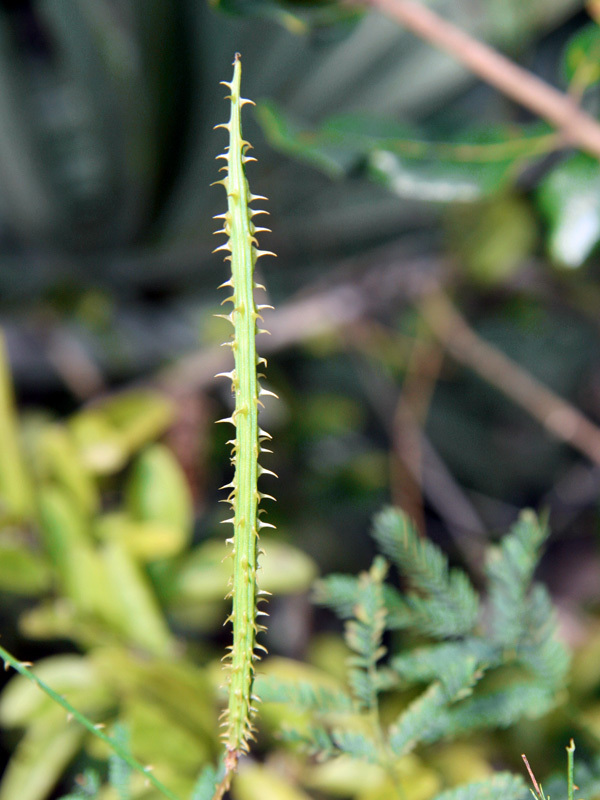 Thigmonasty is the term for touch-induced movement in plants. Fourvalve mimosa (Mimosa quadrivalvis) is a thorny vine that grows in dry, scrubby areas at the Oslo Riverfront Conservation Area. This diminutive but daunting vine flowers with small pink poofs about the size of a dime. 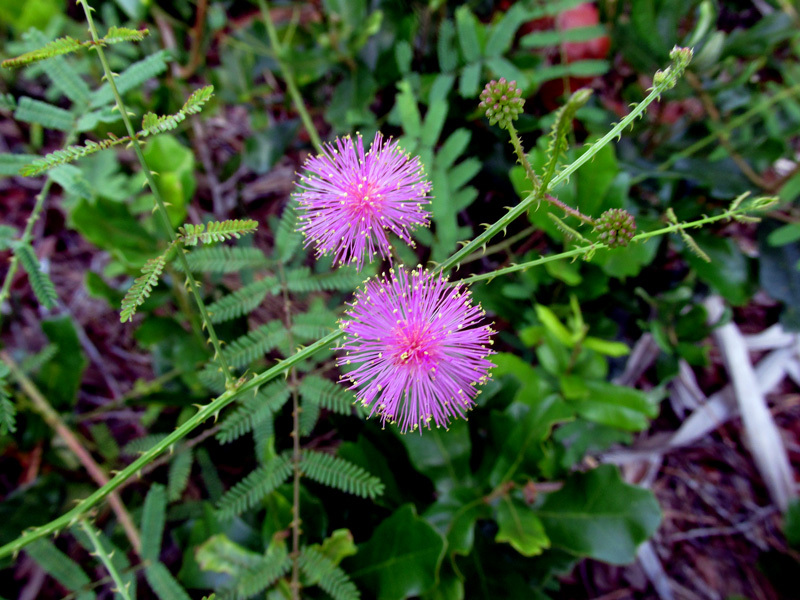 Please do not confuse it with sunshine mimosa (Mimosa strigilosa), a thornless groundcover that sports showy pink poofs about the size of a nickel and prefers much moister conditions. 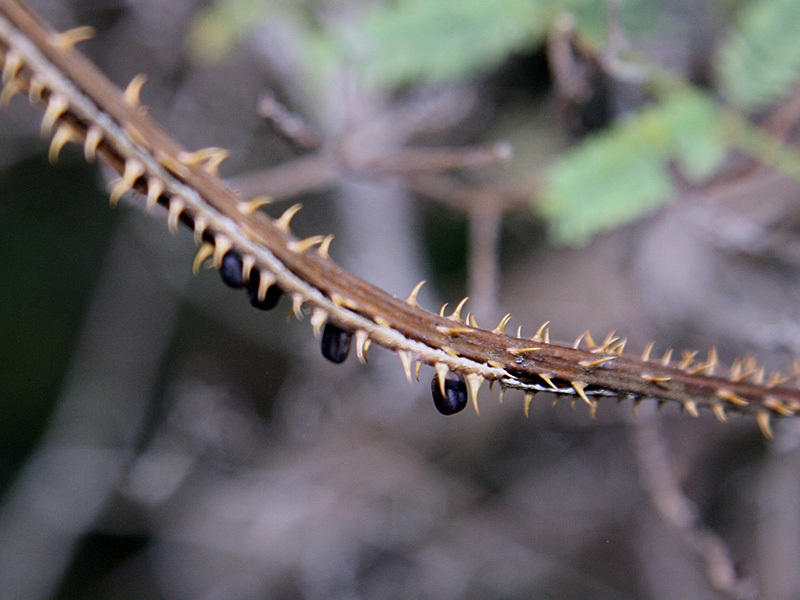 This armored seed pod splits into four segments, when ripe, giving rise to the common name four valve mimosa and the species name quadrivalvis. 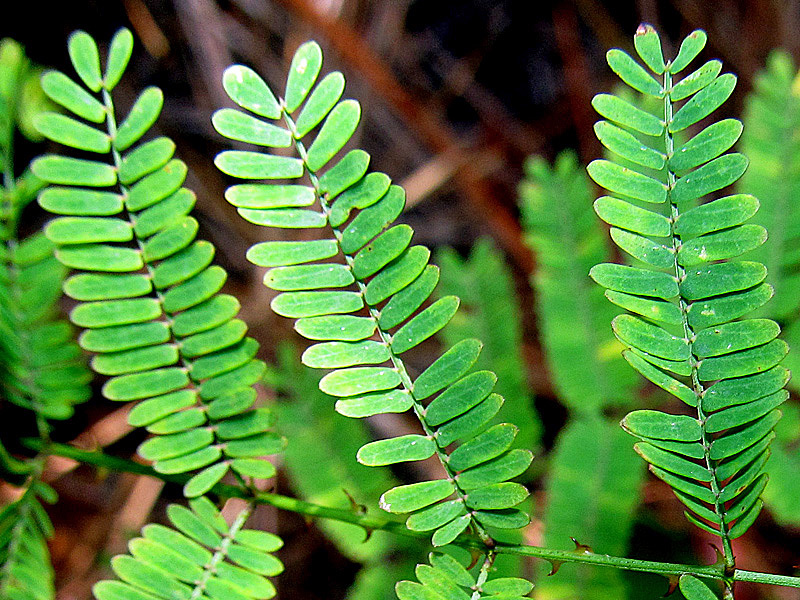 Its seeds are said to be eaten by songbirds, quail, and gopher tortoise. 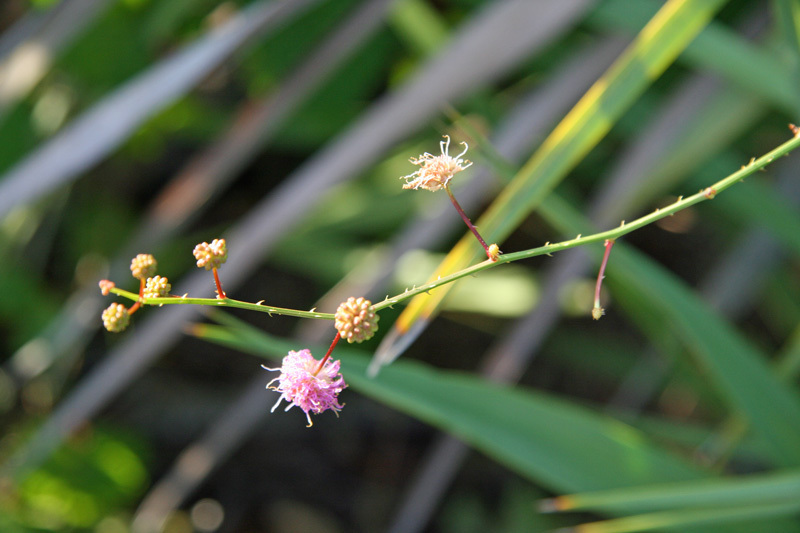 Other common names include sensitive briar and cat’s claw. This plant once was known as Shrankia microphyllum. Good to know. Thorns vs no thorns is good id help. I have seen both and knew they were mimosas but different too. I have sunshine mimosa in my garden and love the cute globe shaped blossoms. I think Pink Harvest Moons would have made a cute common term! Haha!